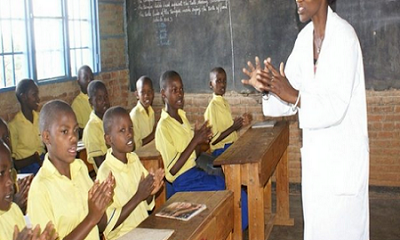 Kaduna: 21,780 teachers to be disengaged – Royal Times of Nigeria. The Kaduna state government will disengage 21,780 teachers for incompetency, The Nation reports. It could be recalled that of the 33,000 primary school teachers who sat for the competency test, 21,780 failed and the Kaduna State Executive Council approved the outcome of the competency test, and directed that 25,000 teachers be recruited. Chairman of the State Universal Basic Education Board (SUBEB), Nasiru Umar, said at a news conference on Sunday, that any teacher who failed the primary four test should approach the committee raised to look into their complaints, adding that their scripts could be re-marked. Umar explained that applicants must have relevant certificates, including one from the Teachers’ Registration Council of Nigeria (TRCN). He reiterated that the exercise has no political undertone, saying the government’s concern was to revive education, especially in rural areas.